When I was researching about my first solo trip back in 2006, I’ve come across several blogs and websites about volunteering. I got curious and clicked to read more about it, but instead of attaining enlightenment, I ended up even more curious. Why would people pay to work? 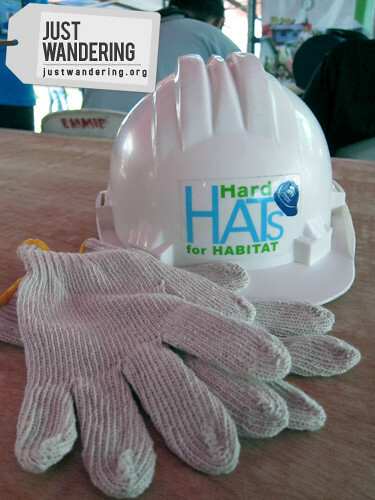 Last February 19, thanks to Habitat for Humanity, I realize why. It gives you a sense of achievement. It’s like conquering that last country on your bucket list or the feeling of great pride upon returning home from your first solo trip. 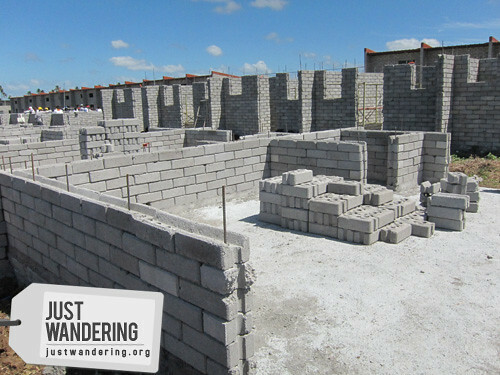 While passing Habitat for Humanity’s patented concrete interlocking blocks (CIB) and piling them up seem like you’re just playing with life size Lego, you feel accomplished seeing houses taking shape. If you’ve been reading my blog long enough, you’d know I hate hiking. Mountain climbing isn’t my thing, and though I love to walk, trekking just isn’t my thing. However, in the occasions I found myself trudging through muddy trails and clambering over rocks, the pain, the heat and exhaustion disappear when I reach the summit. It’s the same when building houses. You’re actually putting up the walls, pouring cement and painting houses. But knowing that this house will be going to those who don’t have a home, you don’t mind the aches in your muscles and the sweat on your back. It gives you that warm and fuzzy feeling. Remember that locals you chatted with during a trip? Remember how happy you felt, that this person is sharing so much of their self and their resources to help you find your way or make sure that you are enjoying your time in their country? 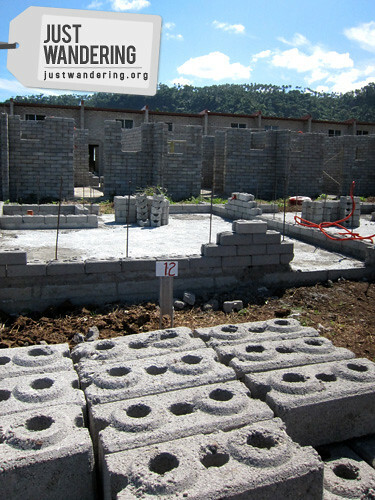 I felt that same feeling upon seeing the progress we’ve made on houses #12 and #20. Never mind that I dipped into my travel fund for a day of physical labor, I believe it was well spent. 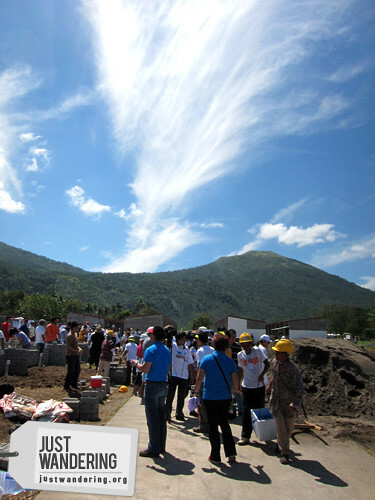 BayaniJuan sa Southville 7 in Calauan, Laguna is just one of Habitat for Humanity’s building sites in the Philippines. 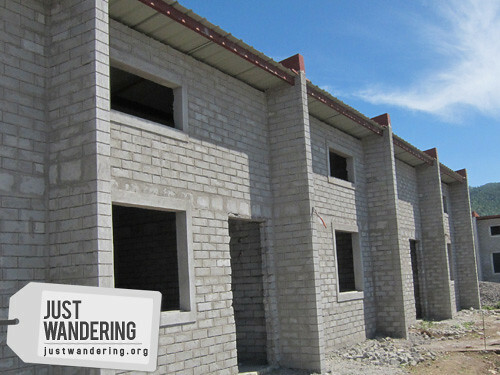 They did not just build houses, but they built a community and livelihood opportunities for the residents. 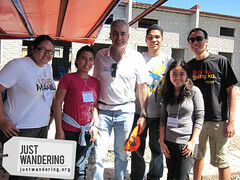 Habitat for Humanity Philippines regularly hold builds for interested volunteers or groups. On May 28, there will be a Youth Build dubbed “1K for 1 Day,” headed by the Habitat Youth Council. The Habitat Youth Council was founded by Habitat Ambassador Alexandra Eduque, an inspiring teen with a big heart for those in need. The HYC shows how powerful the youth is by drumming up fundraising and volunteer activities to help Habitat for Humanity’s cause. In the past, they’ve hosted a fundraising screening of the movie, Eclipse, held a feeding program for the children of Baseco, and cleaned up Estero de Paco. The funds they’ve raised have reached Php24 Mn, enough to build an entire Youth Village in Calauan. The HYC now needs youth manpower to build the Youth Village. Interested to join the build? Contact Claire Algarme (09175857160, (02) 8973069, Claire.algarme@habitat.org.ph) or Marcia Yogore (09175547803, (02) 8973069, Marcia.yogore@habitat.org.ph) for inquiries and registration. There are other ways to help. 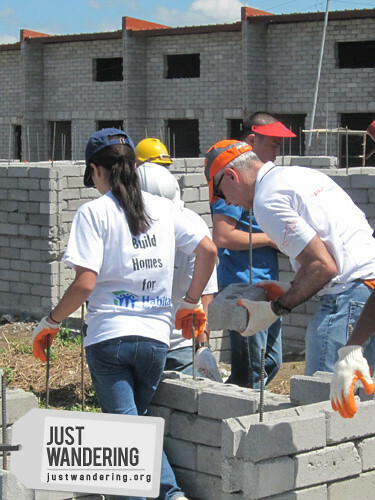 If running’s your thing, join Globe’s Run for Home 2011, which will benefit Habitat for Humanity. The run on March 27, is open to all runners, with divisions of 3, 5, 10, 15 and 21 kilometer distances. Register either in person or via online. For physical registration, participants should go to 4F Greenbelt 3 Cinema Lobby from Feb. 28 to March 20, 2011 from 12NN to 8PM. You can also register online through www.globe.com.ph/run. more inspiring because of Derek Ramsey. chos! im proud of you teh! Nina with a big heart! I’ve participated in building a house before,sa Gawad Kalinga naman yun, it’s a yearly practice sa office. Effort xa pero masarap sa feeling. I’m sure you enjoyed every moment, it’s always better to give! so proud of you & Claire! keep it up! Good for you, Nins! I’ve volunteered for Habitat and for Gawad Kalinga (this for a three-day mission in Cam Sur) and building houses is tiring but rewarding. Gwapo ni FZA, kahit batok lang nakikita ko hehe.